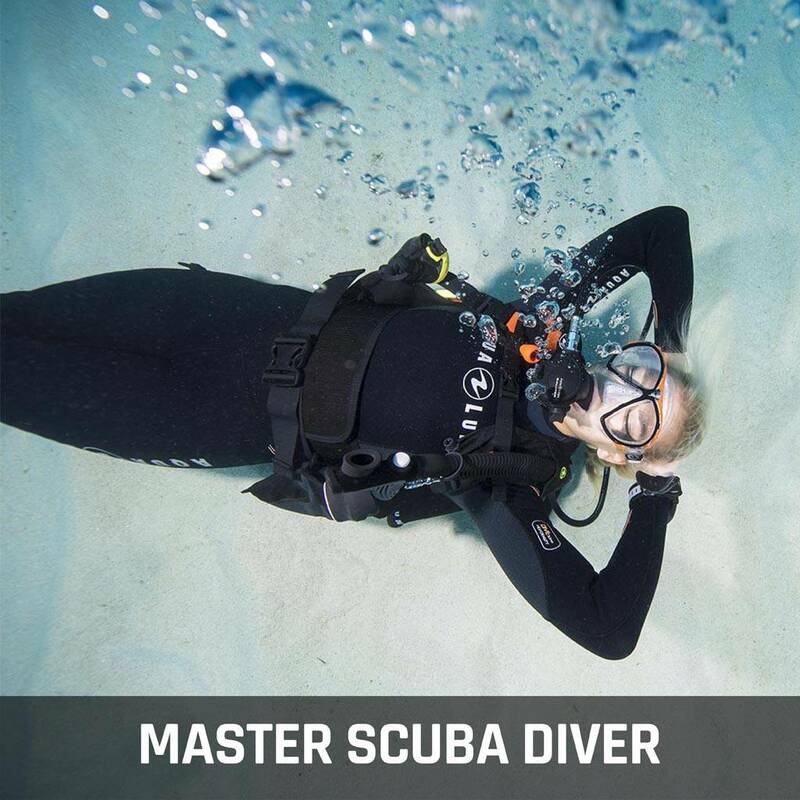 "Master Scuba Diver" is PADI's highest recreational diving certification.The Master Scuba Diver certification shows that you are among the best of the best. Your dive possibilities are endless! No one said that prestige and excellence was easy to come by, but it is certainly well worth it. It will open a new level of confidence whether you are diving our local wrecks and quarries or exploring the reefs of the world. Five PADI Speciality Diver courses. There are more than 20 to chose from and Total Diving can teach them all! You can do the courses included in step 3 before step 2, if you prefer. Either way, at the end of these 3 steps, you will have achieve your dream. You will be one of the best diver in the world: A Total Master Scuba Diver! The experience, knowledge and expertise acquired in this program will also give you a perfect preparation if you intend to make the jump into a career as a dive professional. The challenge is on. It's your turn to Want It, Live It and Dive It. And if your eyes are getting tired of staring at a mind-numbing computer monitor, come have a coffee with us to discuss your game plan.